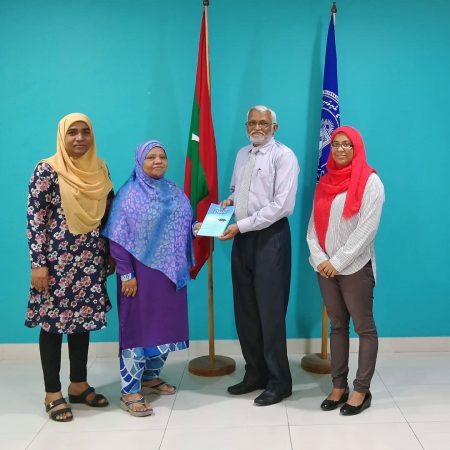 Ms. Aminath Ibrahim, has for donated her latest books to our Library. Famous for her fiction books, the renowned author is actively involved in promoting reading and establishing reading habits among children and young adults. She has completed her Masters of Dhivehi Language and Culture in MNU.